Thierry Henry believes Arsenal supporters can’t blame Olivier Giroud for moving to Chelsea FC ahead of this summer’s World Cup. The France international completed a £21m move to the defending Premier League champions from Arsenal on deadline day. Giroud was signed to provide more attacking depth in the Chelsea FC squad given their over reliance on Alvaro Morata this season. The former Juventus and Real Madrid forward has struggled with a lack of confidence and a string of fitness problems in recent months. Giroud called time on his five and half season spell at Arsenal after the 31-year-old was limited to one Arsenal start in the Premier League this term. The France star turned down the chance to move to Everton last summer but Giroud has finally decided to leave with his place in France’s World Cup squad under threat. Former Arsenal striker Henry held no ill-well towards Giroud after the French forward decided to make the controversial switch across the English capital. 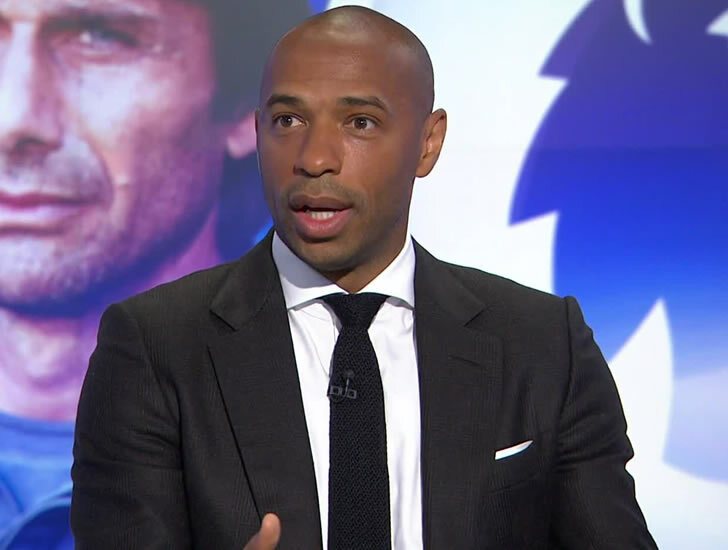 “One thing I would like to say is that there’s nothing you can say about his commitment,” Henry told Sky Sports. “What I like the most is, it’s not like he wanted to go to Chelsea. No disrespect to Chelsea in any way, but it’s happened. “You can’t have a go at him for trying to play a bit before the World Cup for a good team. Giroud scored 73 goals in 180 games in the Premier League for Arsenal following his £12m move from French club Montpellier. The new Chelsea FC signing could make his debut against Watford at Vicarage Road on Monday night.